Patriots Fourth And Two: Could A Contract Extension Be In The Works For Tom Brady? 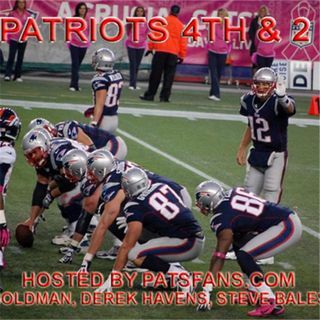 In this episode, we started the show by talking about Tom Brady, as there are rumblings of a potential contract extension for him. After that, in the Patriots Fourth And Two Roundtable, we discussed several topics that involved the approach of Free Agency. To end the show, we talked about our thoughts on the Combine.